A scandalous gathering of wealthy libertines and highborn rakehells devoted to their wicked pleasures. So the Club's members are known to London Society. But little does the world suspect the true purpose of the Inferno Club or the danger that looms over England which these select, powerful lords are secretly sworn to fight. ​The Marquess of Rotherstone has decided it’s time to restore the family’s good name. But as a member of the Inferno Club, he knows there is only one way to redeem himself in Society’s eyes: marry a lady of impeccable beauty and breeding, whose reputation is, above all, spotless. Someone quite unlike Daphne Starling. True, she’s temptingly lovely, but a jilted suitor has nearly ruined her reputation. Still, Max cannot resist her allure—or the challenge of proving London’s gossips wrong. He would do anything to win her hand and show that even a wicked marquess can make a perfect husband. ​They say that the very name of Warrington is cursed . . .
From a time as old as the cold stone of the duke’s ancestral castle, the Warrington men have been plagued by tragedy. But Rohan Kilburn, the Duke of Warrington has vowed to escape the predestined torment by forsaking love and devoting his life to the Inferno Club and its secret mission. And then she is brought to him unbidden by cutthroats hoping to calm the duke’s infamous temper—a sacrificial virgin of sorts. But Kate Madsen will be no man’s sacrifice. And the duke’s price for claiming her may be what he has sworn never to give—the heart he has so long and fiercely guarded . . . to the beautiful hostage he was never meant to love. Once, she had vowed to marry Jordan, the Earl of Falconridge. Now, she vows to forget him. 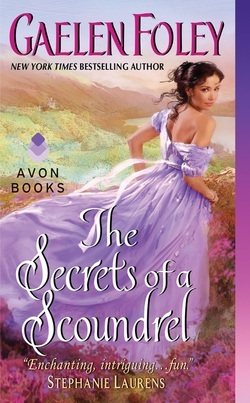 After he abandoned her for a life of shrouded secrets, Mara, Lady Pierson, has succeeded in keeping him away, until he appears in London unexpectedly, making her fall in love all over again. Forced back into her life by duty, Jordan quickly stays for love. He has never forgotten this passionate beauty and never meant to break her heart. But their newfound happiness is endangered—because the Inferno Club demands much of its members, and his vital mission is exposing a deadly plot that could threaten their very lives. His brother warriors fear the Earl of Westwood had turned traitor, but Emily Harper knows this is impossible for the man she has loved since childhood... as impossible as a marriage between them could ever be--she, the gamekeeper's daughter and he, a bold and adventurous nobleman. Driven by hatred and revenge, Westwood is playing a deadly game of deception, bent on destroying the enemy's dark conspiracy from the inside, and he's furious when Emily plunges herself into danger for his sake. Forced into close quarters, their long-suppressed desire explodes into all-consuming passion. Emily knows her love can save him . . . but Westwood is a man who doesn't want to be saved. ​Meet the courageous men of the Inferno Club as they face their greatest challenge yet: marriage! 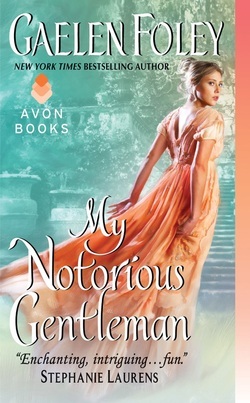 Sebastian, Viscount Beauchamp lives by a code of honor, and now honor dictates he must marry Miss Carissa Portland. He has no regrets over stealing a kiss from the adorable little busybody—a fitting punishment for putting her delectable nose in where it didn’t belong. But now, caught in a compromising situation, he knows he must make her his bride. He’s faced danger before—but nothing like this! Carissa is not a gossip—she’s a "lady of information." And all she was trying to do was warn the rakehell Beauchamp away from an irate husband. Notorious Lord Trevor Montgomery has fearlessly met danger head-on. Now he must confront his greatest challenge yet: marriage! ​Nick, Lord Forrester’s reputation is legendary—both as a lethal warrior and a wicked lover. But when his rule-breaking ways land him in a Scottish dungeon he’s left there to rot, until a mysterious lady visits his cell, offering him a way out. All he must do is risk his neck on the mission she proposes—and obey her every command. One look at the luscious beauty has Nick ready to promise her anything, but he must resist his desire, or she could send him straight back to prison. 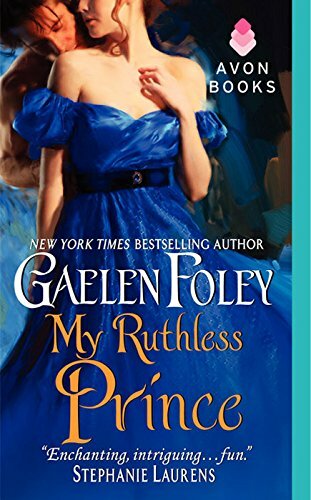 Virginia, Lady Burke, is well aware that the powerful ex-spy will try to take command of their quest, but it’s her job to keep him under control. Yet how can she keep this untamable scoundrel under her thumb when all she really wants is to unleash the smoldering passion between them?